The Obama administration has approved the first U.S. factory in Cuba in more than half a century, allowing a pair of former software engineers to build a plant assembling as many as 1,000 small tractors a year. In this Feb. 12, 2016 photo, a logo on a T-shirt which reads in Spanish "Cultivating prosperity" hangs on display at their office in Raleigh, North Carolina. The Obama administration has approved the first U.S. factory in Cuba in more than half a century, allowing a two-man company from Alabama to build a plant assembling as many as 1,000 small tractors a year for sale to private farmers in Cuba. The Treasury Department last week notified partners Horace Clemmons and Saul Berenthal that they can legally build tractors and other heavy equipment in a special economic zone started by the Cuban government to attract foreign investment. Cuban officials already have publicly and enthusiastically endorsed the project. The partners said they expect to be building tractors in Cuba by the first quarter of 2017. 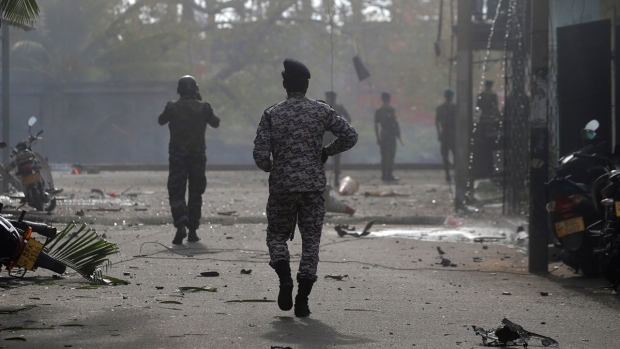 "Everybody wants to go to Cuba to sell something and that's not what we're trying to do. We're looking at the problem and how do we help Cuba solve the problems that they consider are the most important problems for them to solve," Clemmons said. "It's our belief that in the long run we both win if we do things that are beneficial to both countries." The $5 million to $10 million plant would be the first significant U.S. business investment on Cuban soil since Fidel Castro took power in 1959 and nationalized billions of dollars of U.S. corporate and private property. That confiscation provoked a U.S. embargo on Cuba that prohibited virtually all forms of commerce and fined non-U.S. companies millions of dollars for doing business with the island. Letting an American tractor company operate inside a Cuban government facility would have been unimaginable before Presidents Barack Obama and Raul Castro declared on Dec. 17, 2014, that they would restore diplomatic relations and move to normalize trade, travel and other aspects of the long-broken bilateral relationship. Since then, Obama has been carving exceptions into the embargo through a series of executive actions, and his administration now says they allow U.S. manufacturing at the Mariel port and special economic zone about 30 miles west of Havana. One exception allows U.S. companies to export products that benefit private and cooperative farmers in Cuba. Berenthal and Clemmons say they will sell only to the private sector. The Obama administration says it is eager to make the opening with Cuba irreversible by any future administration. Since the start of the year, U.S. and Cuba have made a series of announcements that appear designed partly to create a sense of unstoppable momentum in their new relationship. Cuba announced late last month that it would more than double the number of public Wi-Fi access spots to more than 100 across the country this year and bring broadband Internet to a small number of Cuban homes, where it is currently illegal. Obama said in 2014 that Castro had promised to increase Cubans' access to the Internet as part of detente. On Saturday, Cuba announced that it had returned a U.S. Hellfire missile that it said was mistakenly shipped to Havana from Paris in 2014. On Tuesday, Cuba's Transport Minister and the U.S. Secretary of Transportation will sign a deal authorizing the first regularly scheduled commercial flights between the U.S. and Cuba since shortly after the 1959 revolution. 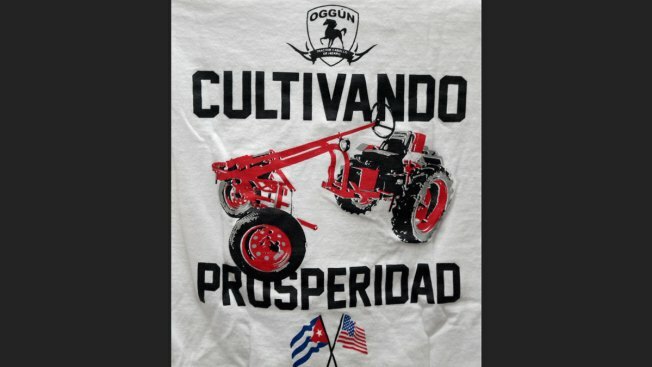 The Oggun tractor plant, named after a god in Cuba's syncretic Santeria religion, will assemble commercially available components into a durable and easy-to-maintain 25-horsepower tractor selling for less than $10,000, Clemmons and Berenthal said. The men believe they can sell hundreds of the tractors a year to Cuban farmers with financing from relatives outside the country and to non-government organizations seeking to help improve Cuban agriculture, which suffers from low productivity due mostly to excessive control of both basic supplies and prices by an inefficient, centrally planned state bureaucracy. "I have two countries that for 60 years have been in the worst of terms, anything I can do to bring to the two countries and the two people together is tremendously satisfying," said Berenthal, a Cuban-born semi-retired software engineer who left the country at age 16. He met Clemmons, who is from Paint Rock, Alabama, when they worked at IBM in the 1970s. They left to form a successful cash-register software company that grew to earn $30 million a year before they sold it in 1995 for a sum that Clemmons says was "enough that I don't have to work." Between their own capital and commitments from private investors they say they have enough cash in hand to build the Oggun factory as soon as Cuba lets them proceed. "Everything's locked in," Clemmons said. Berenthal said they are optimistic that they will also be able to export Oggun tractors to other Latin American countries, which have low or no tariffs on Cuba products, making them competitive on price. The men expect a 10-20 percent profit on each tractor. For the project's first three years, Clemmons and Berenthal say they will export components from the United States for assembly in Cuba. They hope to eventually begin manufacturing many of the parts themselves on the island. They said they expect to start with 30 Cuban employees and, if things go as planned, grow within five years to as many as 300. Clemmons and Berenthal will publish all the schematics of their tractors online in order to allow Cubans and other clients to more easily repair their equipment and come up with designs for other heavy equipment based on the same frame and motor that Cleber can then produce at their Mariel factory. The men already have plans to produce excavators, backhoes, trench-diggers and forklifts, equipment that's badly needed across Cuba, where virtually all the infrastructure is crumbling after years of neglect and mismanagement and a lack of cash that the government blames on the embargo. "I think it'll have a tremendous impact on their ability not only to help their economy but to set an example across the Caribbean and Latin America," Berenthal said.